Point2 Homes gives you far more than a simple list of houses for sale. Get instant access to a lot of relevant information about Saskatoon, SK real estate, including property descriptions, virtual tours, maps and photos. The search results pages also have a wealth of information on Saskatoon, SK, if you scroll all the way down. 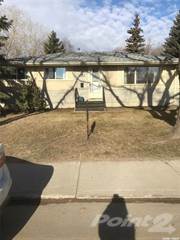 There are houses for sale in Saskatoon, SK. 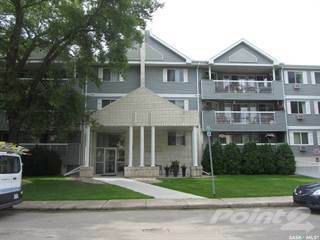 Searching homes for sale in Saskatoon, SK has never been more convenient. With Point2 Homes, you can easily browse through Saskatoon, SK single family homes for sale, townhomes, condos and commercial properties, and quickly get a general perspective of the real estate prices. Also, you’ll never miss a bargain if you filter listings based on house price drops in the past six months. Use the map view to find Saskatoon, SK homes and apartments for sale, based on amenities or city features that you may want close by. You can close in on a specific neighbourhood or area by simply drawing around them with the polygon or radius tools. Stay informed about the latest entries on the real estate market by saving your searches. This way, you get new listings in your inbox, daily or every week, based on your preferences. If you’d like to get in touch with a professional, agents are displayed next to their listings, and they’re easy to contact through the online forms. If you want more options, you can click the Tools tab and Find an Agent, and you’ll get a list of helpful and knowledgeable real estate agents in Saskatoon, SK. Visit the Point2 Homes blog and you can find up to date expert advice on many markets throughout Canada, regular market reports, neighbourhood scoops in cities throughout the provinces, real estate deals and useful recommendations. With a population of around 222,000 people and an area of roughly 66 square miles, Saskatoon is the largest city in the province of Saskatchewan and one of	the fastest growing cities in Canada. Situated by the Saskatchewan River, Saskatoon is centrally located in the province and is known as a cultural and economic hub.As of recent years, influxes of migrants have relocated to Saskatoon, which has accounted for around 50% of the recent population increase in the area. Due to the lack of surrounding mountains, Saskatoon is fairly low-lying and sits in the humid continental climate zone. Temperatures average around the mid-20s (°C) in summer, and around -10 (°C) in winter. Saskatoon receives a higher than average level of sunshine compared to the rest of Canada, but is prone to thunderstorms and occasionally tornados in the warmer months. Home to the University of Saskatchewan, Saskatoon also boasts a range of outdoor activities, such as walking and running along the Meewasin Valley Trail. With a significant Indigenous and European population, Saskatoon is known for its vibrant culture and immense history. Nickname(s): "Paris of the Prairies"
There are a number of heritage sites, museums, art galleries, and archaeological sites in Saskatoon, as well as three national parks located in the province of Saskatchewan. In terms of tourism, Saskatoon is worth around $500 million, accounting for almost a third of all travel expenditure in the province. Saskatoon is made up of around 65 neighbourhoods that sit either side of the Saskatchewan River. In the heart of Saskatoon are the Core Neighbourhoods, comprised of Nutana, West Saskatoon and Riversdale, which came together in the early 1900s. The Core Neighbourhoods also include the Downtown Central Business District, which is the urban hub of Saskatoon home to shops, restaurants, and arts and culture organisations. Homes in this area are primarily condominiums and converted lofts. Neighbourhoods such as Caswell Hill, City Park, and Westmount surround the Central Business District and are made up of tree-lined streets, modern developments, and war-era homes. Nutana located on the East side of the river features a range of heritage homes, while North Park and Westmount are more affordable for first-time buyers. Richmond Heights situated North of the Downtown core forms a small and low home-turnover community, while Varsity View located close to the University campus is home to a pleasant neighbourhood with beautiful scenery and student accommodations. The Lakewood and University Heights neighbourhoods, which are comprised mainly of condos and townhouses, are popular among singles and young professionals, while areas such as Briarwood and Arbor Creek feature larger, more luxurious properties. A burst of construction activity has caused a slight dip in house prices, and the housing market has shifted in favour of buyers due to the excess inventory with more new-builds and condos saturating the market. However, it’s likely that this shift may balance out as the population of Saskatoon increases. The majority of housing in Saskatoon is made up of single-detached houses, townhouses, lofts, semi-detached houses, and apartments/condos. Housing in Saskatoon is considered to be much more affordable than cities such as Vancouver and Edmonton. There is a general trend towards home ownership, with only 30% of the population renting. Areas such as Arbor Creek, Briarwood, Erindale, Lakeridge, Montgomery Place, Richmond Heights, Rosewood, and The Willows have considerably high homeownership levels of around 90%. In contrast, homeownership in areas such as the Central Business District and Pleasant Hill are much lower, hovering around 25%, as renting is much more popular among young professionals and single people. Areas such as Grosvenor Park, Fairhaven, Meadowgreen, Nutana, Queen Elizabeth, and Riversdale fall in-between, with a fairly even split of homeowners and renters. The following table, based on data taken from the Canadian Real Estate Association (CREA’s) National MLS® Report for April 2016 (the latest information available), demonstrates how homes in LSTAR’s jurisdiction continue to maintain their affordability compared to other major Saskatchewan and Canadian centres. Education in Saskatoon is generally divided into Elementary education, Secondary education, and Post-secondary education. Preschool is not compulsory. The Saskatoon Public Schools division operates 44 Elementary schools and 11 Secondary schools, which are publicly funded and free of charge. There are also multiple Private Schools in Saskatoon, ranging from Kindergarten to Grade 12. Saskatoon’s Private Schools are located in Lawson Heights, Nutana, Riversdale, Stonebridge, Forest Grove, East College Park and Grosvenor Park.